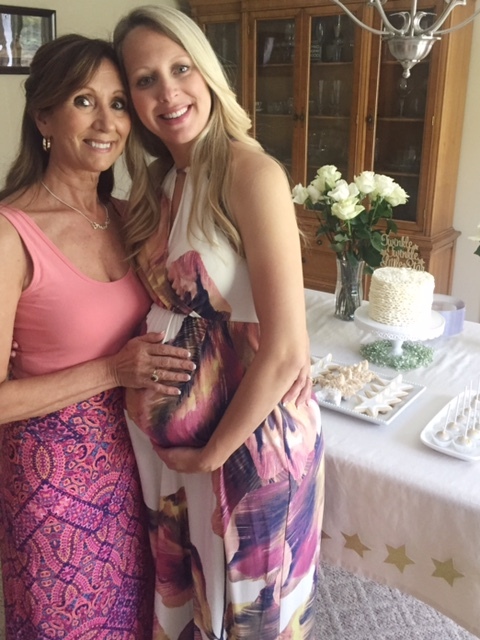 When I found out my sister Lindsey was pregnant with her first child, I was over the moon and couldn't help but begin to dream about throwing her a shower! She has always gone above and beyond for me and I wanted to do the same for her. 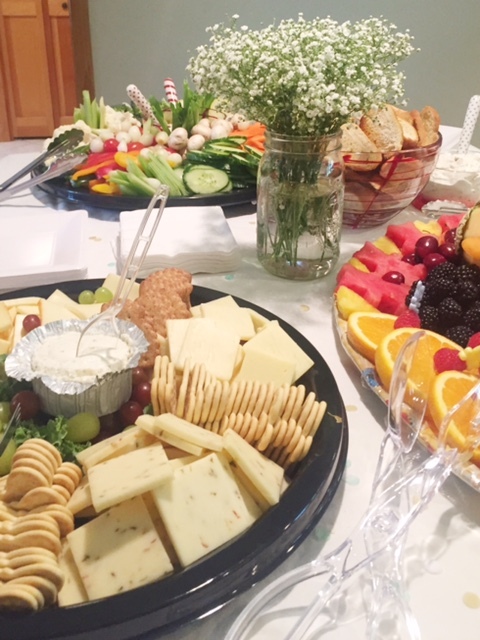 Thankfully, the other lovely hostess, our mother, helped me bring the vision to life! The shower took place at my sister's house and was centered around the age-old nursery rhyme "Twinkle, Twinkle Little Star." 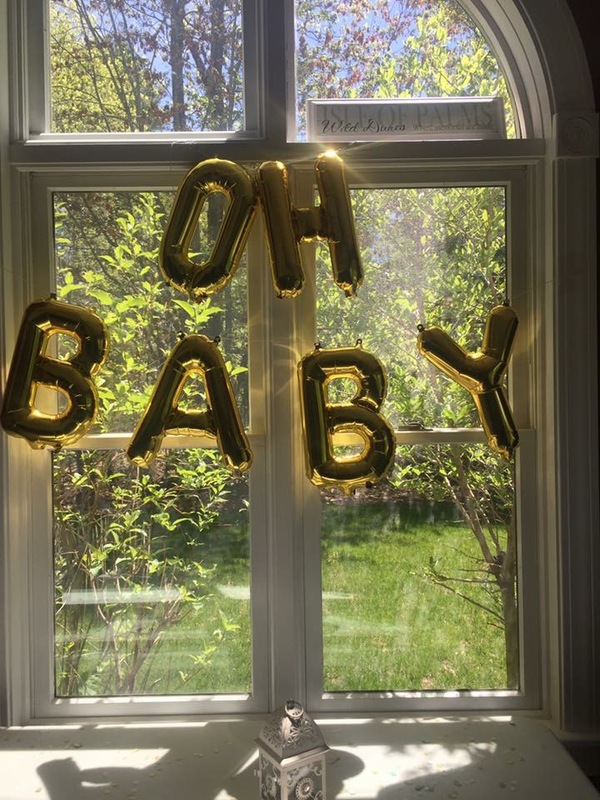 Since the gender of the baby has not been revealed, we decided that "twinkle twinkle little star, how we wonder what you are" would coincide perfectly! The inspiration actually came from this Olive and Star invitation that I saw on Etsy, which we then ended up using as Lindsey's shower invites! We chose to stick to cream and gold as the general color scheme. Lindsey has designed the nursery to include some mint green, so we did incorporate that color just a bit throughout. The flower of choice was baby's breath. To me, it always give a simple, yet elegant feel to a space and we ordered a generous amount (15 bunches) to put in mason jars all over the house. 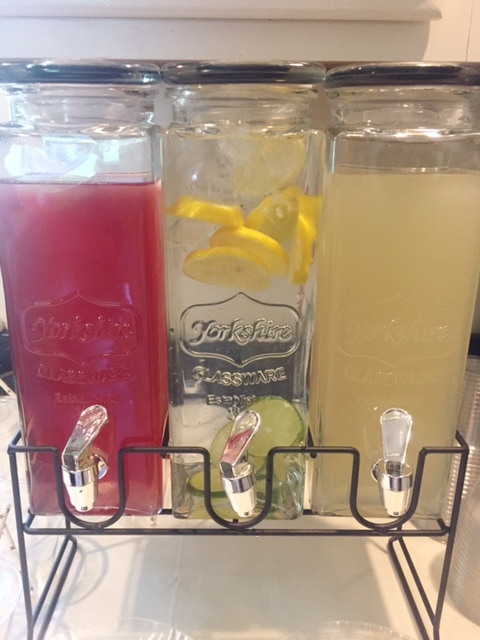 A beverage station was set-up with vintage glass dispensers where we served strawberry lemonade, plain lemonade and water infused with lemons and limes. 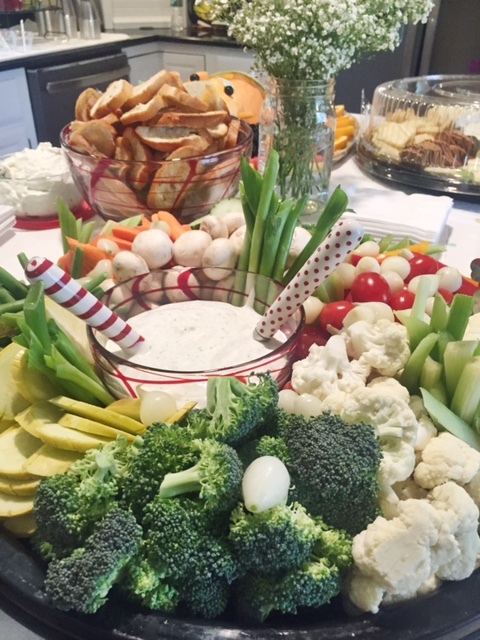 Guests munched on cheese + crackers, vegetables, crostini bread with french onion dip, and fruit while they mingled. 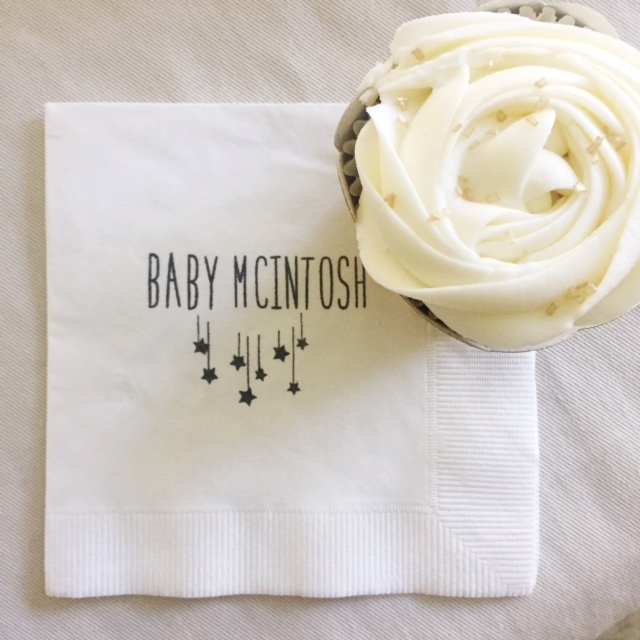 There were cards custom designed by Mint Arrow Designs for guests to leave their love and well wishes for Baby M. Lindsey and Derek (my brother-in-law) both thought this was a really special touch and they loved reading them at the end of the day. 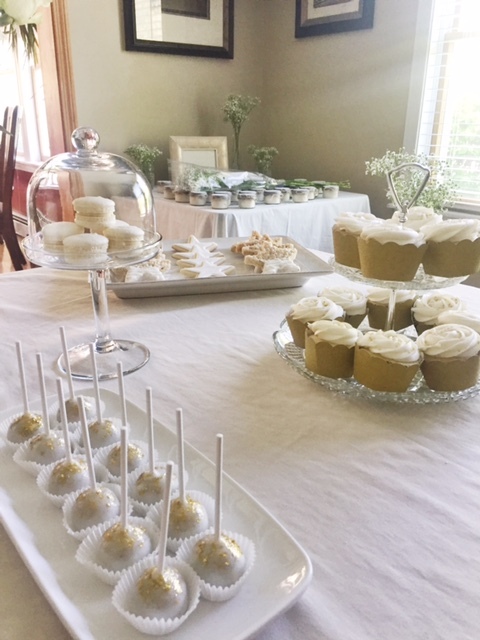 My mother and I came up with a custom dessert menu along with the help of Maine baker, Sue Warren (Sweets by Sue) Fun fact: Sue also worked with me for London's first birthday ("Splish Splash" theme) and you can see what she created here! 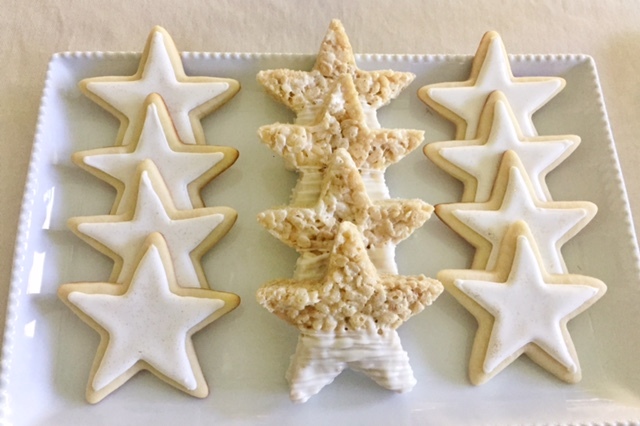 We wanted her beautiful desserts to be the focal point of my sister's large dining room table. 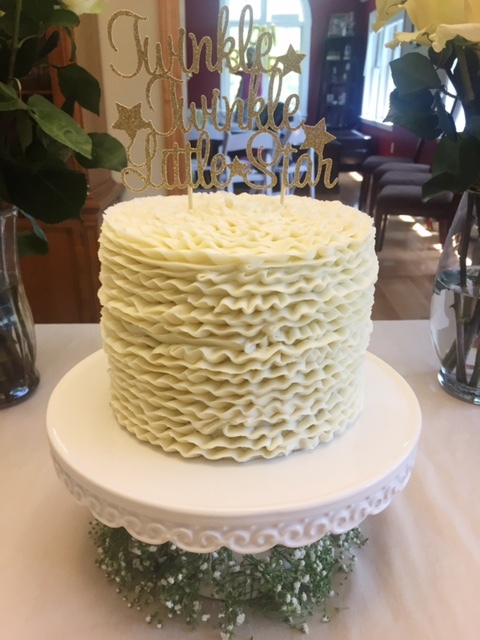 The chocolate cake with vanilla buttercream frosting (mama-to-be's favorite) and custom "twinkle twinkle" topper served as the centerpiece while the other desserts (macarons, cake pops, sugar cookies, rice crispy treats, and cupcakes) were scattered around. We also bought a table easel from Michael's so we could showcase a framed print that tied in the whole theme. 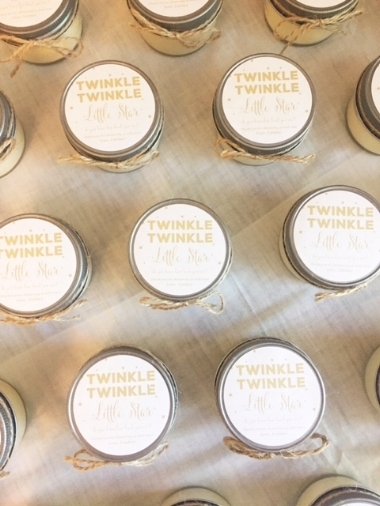 Each guest went home with gorgeous and yummy Lavender soy candles from The Favor Design Studio, which were a huge hit!